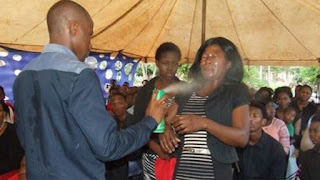 Popular South African self-styled prophet who sprayed his followers with insecticide has been found guilty of assault. like coughing for more than seven months" after the incident. Rabalago - who run the Mount Zion General Assembly was arrested after it emerged he had used the product to "cure" his followers of various ailments in 2016.